Forget What You Thought You Knew! The UCSF Osher Mini Medical School for the Public is designed to provide members of the community the opportunity to see and hear what goes on every day in UCSF’s classrooms and research labs with lectures from the same faculty who are on the front lines, teaching students in the health professions. 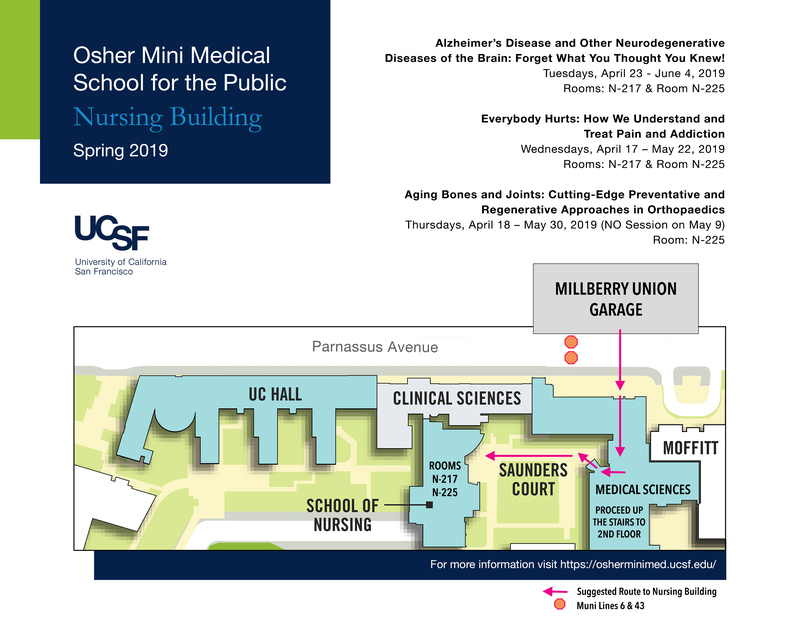 UCSF Osher Mini Medical School addresses the accelerating public interest in the scientific knowledge behind the health headlines, the role of the consumer in health care decision making, and each citizen’s role in participating in the shaping of health policy. Alzheimer’s Disease and Other Neurodegenerative Diseases of the Brain: Forget What You Thought You Knew! *A login is required to register online. Need additional help finding the Nursing Building? The special student rate is FREE with a valid Student ID required at check-in.